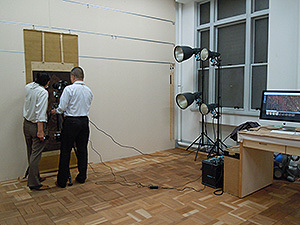 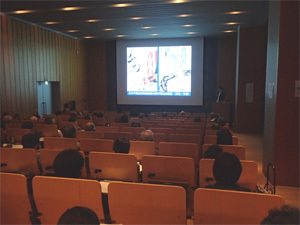 The Department of Art Research, Archives and Information Systems organized public lectures at the seminar room of the Institute on Friday, October 30 and Saturday, October 31, 2015. 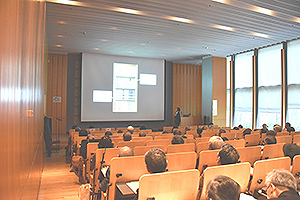 This lecture has been annually held for 49 years in order to widely release our accumulated research outcomes to the public. 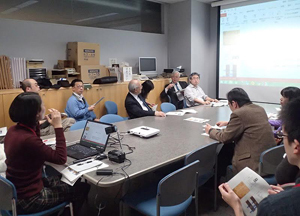 For 2015, two researchers of the Institute and two more lecturers from outside gave a one-hour lecture, respectively. 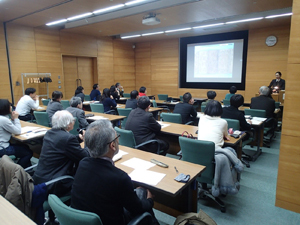 Day 1 was dedicated to “Amida (Amitabha) Triad of Ninna-ji Temple and the Belief of Emperor Uda” by Ms. Mai Sarai (Senior Researcher of the Department of Art Research, Archives and Information Systems), and “Painters in the 10th Century : Various Phases of “Japanization” from the Perspectives of East Asian Art Historyby Mr. Ryusuke Masuki (Associate Professor at Kobe University). 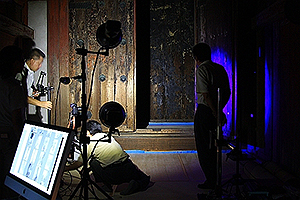 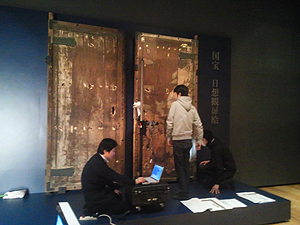 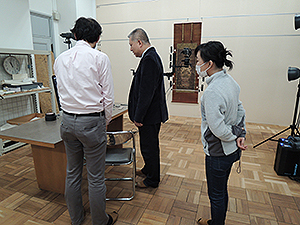 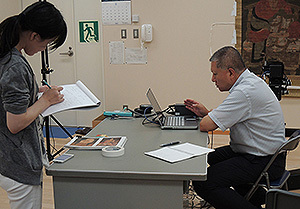 Ms. Sarai explained iconographical features of the Amida Triad built by Emperor Uda together with their involvement with historical backgrounds of the religion centering on Emperor Uda, while Mr. Masuki studied changes in landscape paintings around the 10th century in China read from historical materials, which affected Japanese paintings. 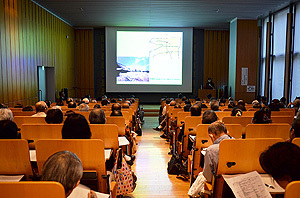 Day 2 was for “Japanese and Chinese Found in Yosa Buson’s Paintings” by Mr. Takuyo Yasunaga (Researcher of the Department of Art Research, Archives and Information Systems) and “Looking into the Landscape Paintings of Ike no Taiga : By Means of Two Paintings of ‘Riku-en’” by Ms. Rie Yoshida (Curator of the Shizuoka City Art Museum). 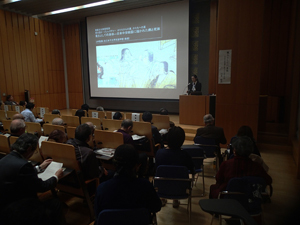 Mr. Yasunaga explained how Yosa Buson, a painter representing the Edo period, was aware of “Japanese” and “Chinese” styles in his expressions, which were mixed and shown in his actual paintings. 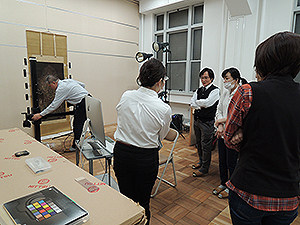 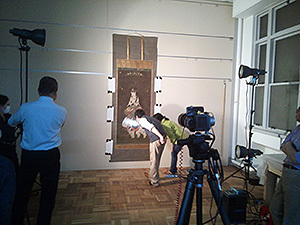 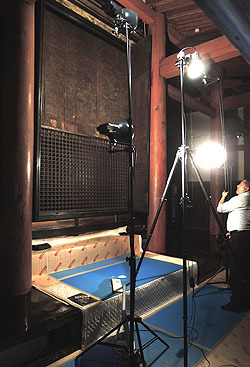 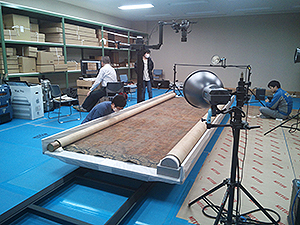 On the other hand, Ms. Yoshida focused on the paintings of “Riku-en” drawn by Ike no Taika, a famous painter in the Edo period like Buson, which are based on the Chinese theory of painting but which are very unique. 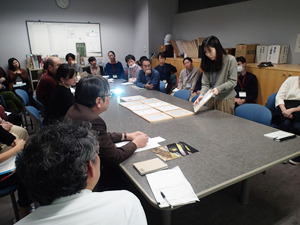 She also referred to how the paintings of Taiga as a Japanese “Bun-jin (literati) painter” had been established along with the styles of paintings using Japanese brushes shown in his works and the relationships with people involved in his works.